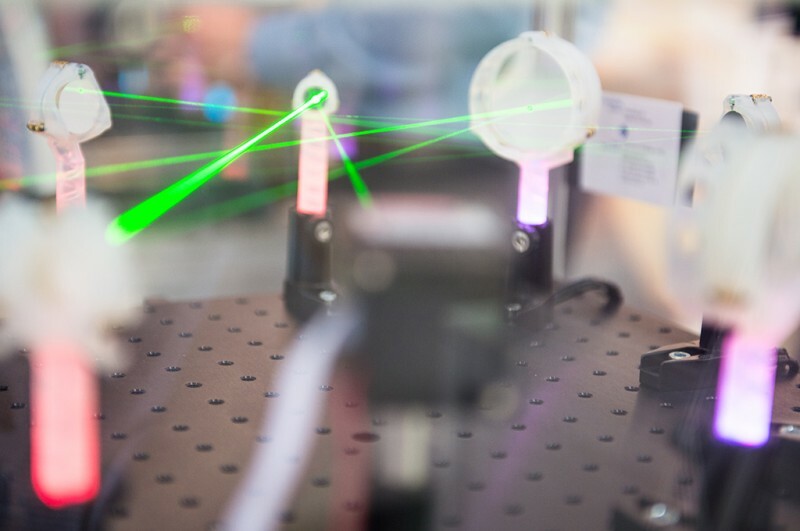 From June 26 to 29, LASER World of PHOTONICS in Munich demonstrated its pre-eminent position as the world’s leading photonics trade fair: 1,293 exhibitors presented their products to the more than 32,000 trade visitors—record figures for the trade fair on both counts. The supporting program afforded numerous insights into future photonics application areas. From June 25 to 29, the World of Photonics Congress in the ICM – International Congress Center Munich wowed attendees with lectures by eminent researchers such as Dr. Paul Hilton and Federico Capasso. For example, 800 of the 1,293 exhibitors were from abroad. 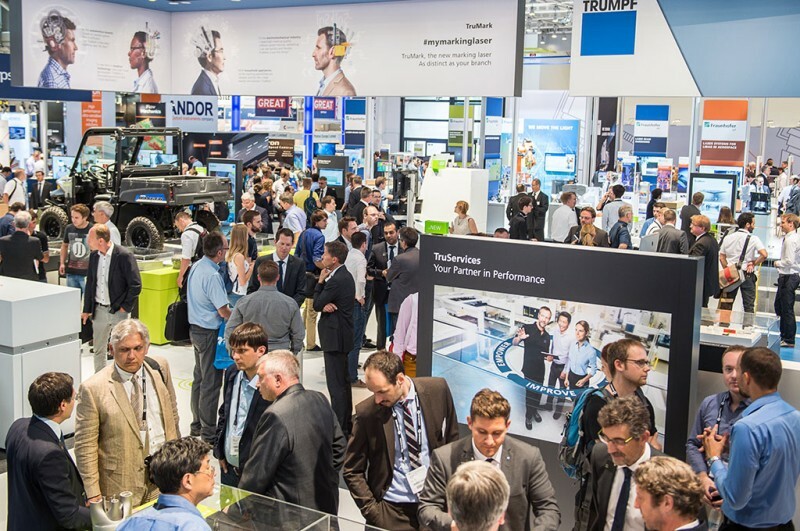 60 percent of the visitors and Congress participants traveled from outside Germany. And the exhibitors' assessment of their market is between very good and good. The trade show ended with a record-breaking number of visitors. More than 32,000 trade visitors from 90 countries descended on Munich—and they were very satisfied with what LASER World of PHOTONICS had to offer: The Gelszus Messe-Marktforschung survey revealed that 99 percent of visitors rated the trade fair as excellent or good with the bulk of them assuming that the trade fair will continue to grow in importance. In addition to Germany, the top visitor countries were—in this order—France, UK, Japan, Switzerland and the USA. 1,293 exhibitors from 42 were on show at the world’s leading photonics trade fair. That equates to an increase of 5.4 percent on the previous event. Exhibitor growth was generated both domestically and from abroad. 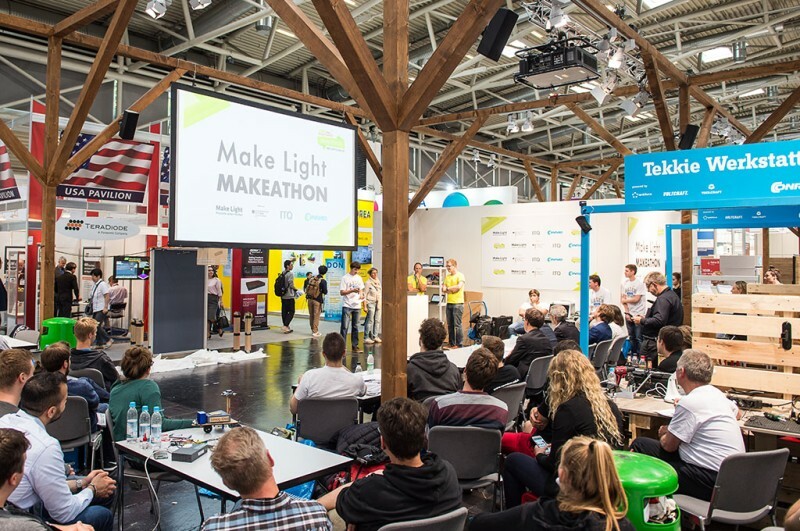 The first ever Make Light MAKEATHON, staged in collaboration with the German Federal Ministry of Education and Research’s (BMBF) Make Light initiative, proved to be a crowd puller. Within just 24 hours, 79 students and young engineers developed hardware prototypes with sonorous titles such as “Smog Dog”—a device the size of a robotic lawnmower, capable of locating air pollution or the smell of burning with its optical sensor system. In addition to the Make Light MAKEATHON, Start-Up World and the PHOTONICS Awards offered the industry’s young talent a major platform—with the young entrepreneurs’ capacity for innovation readily apparent here as well. In addition to the focus on young talent, the trade fair’s supporting program was first and foremost about transferring know-how: It was the first time that visitors were able to find out about future topics during guided tours. The “laser technology for e-mobility” guided tour proved especially popular. Another visitors’ favorite was the special show “Photons in Production” with live demonstrations such as the welding of high-strength steel as well as the Application Panels with senior speakers from the photonics industry. The photonics research summit also offered knowledge transfer at the highest level: A good 3,500 participants attended the seven conferences taking place during the World of Photonics Congress. The “Digital Optical Technologies” conference being held for the first time provided an insight into mixed, augmented and virtual reality applications. Participants were able to combine science and practice in “hands-on sessions” and test relevant devices. Another instance of bridging the gap with the practical world was the “Industrial Perspective on Quantum Technologies” lecture series with contributions from industry—Robert Bosch GmbH for example. The gist: Europe leads the way in quantum technologies—with world beating experts, companies and research institutes. Once again, the presentation of the Herber Walther Award at the World of Photonics Congress proved to be a program highlight. The award has been conferred for more than ten years now, this year going to the American experimental physicist Prof. Randall Hulet of Rice University in Houston/Texas. The next LASER World of PHOTONICS will take place from June 24 to 27, 2019 and the next World of Photonics Congress from June 23 to 27, 2019. Full house at the opening of LASER World of PHOTONICS and the Photonics Congress in the ICM – International Congress Center Munich. 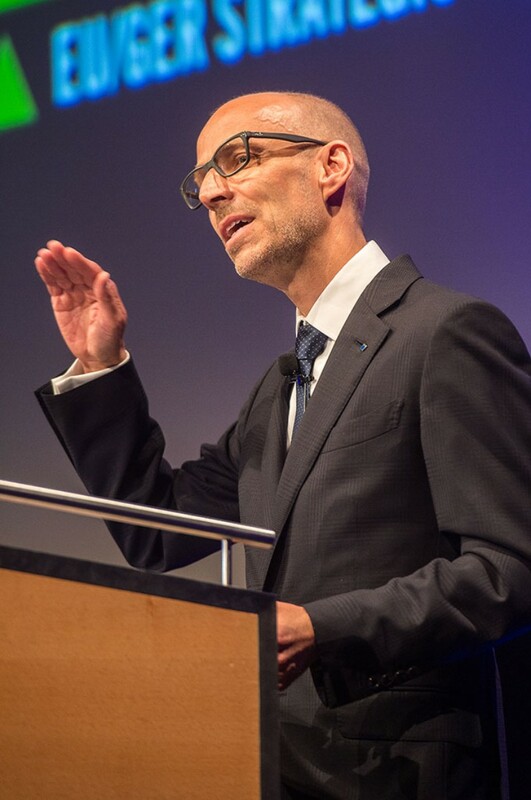 Dr. Peter Leibinger, deputy CEO of TRUMPF, offered an insight in his opening speech into topic of the future quantum technologies. More than 32,000 trade visitors to LASER World of PHOTONICS found out about the latest trends. Excellent atmosphere at the premiere of the Make Light MAKEATHON. The latest laser technology at LASER World of PHOTONICS.